June 29, 2011  There was an 8.2 percent increase in contract signings last month, the National Association of Realtors says. June 23, 2011  The housing sector continues to struggle. June 21, 2011  The reasons include bad weather and higher gasoline prices. 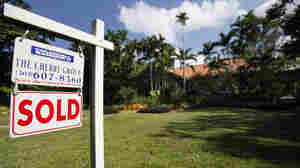 Regardless, sales were down nearly 4 percent in May from April and were off more than 15 percent from a year earlier. April 25, 2011  But sales were still 21.9 percent below the pace of March 2010. April 20, 2011  But the pace remained well below the level of March 2010. And much of the growth was due to investors snapping up bargain-priced foreclosed homes. 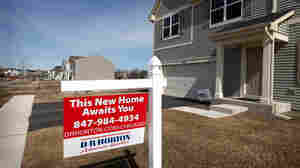 March 23, 2011  A huge inventory of foreclosed homes continues to weigh down demand for newly constructed houses. 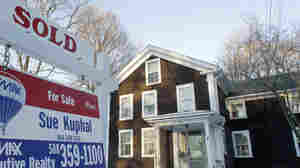 March 21, 2011  Sales of "distressed homes" — mostly those where lenders have foreclosed — continue to push down prices. Sales Of Existing Homes Rose 2.7 Percent In Jan.
February 23, 2011  But a drop in prices signals that the housing market's bottom may not yet have been reached. January 26, 2011  While the year ended with a bang, sales were still down sharply from 2009 and have fallen five years in a row. December 30, 2010  Those are home sales where a deal has been signed, but not yet closed. Since hitting a low in June, they've risen over the past five months -- but remain 5 percent below the level of November 2009. December 22, 2010  Sales of single-family homes, townhouses, condominiums and co-ops rose 5.6 percent from October, to a seasonally adjusted annual rate of 4.68 million, the National Association of Realtors says. December 2, 2010  Pentagon brass testify. Rep. Charles Rangel faces a censure vote. World Cup hosts are awarded for 2018 and 2022. And LeBron James returns to Cleveland. November 24, 2010  The annual rate: 283,000, down 8.1% from September and near August's 275,000 (which is the lowest since records started being kept in 1963). November 23, 2010  But those sales slipped, the National Association of Realtors' chief economist believes the bottom has been reached and steady improvement should be ahead.